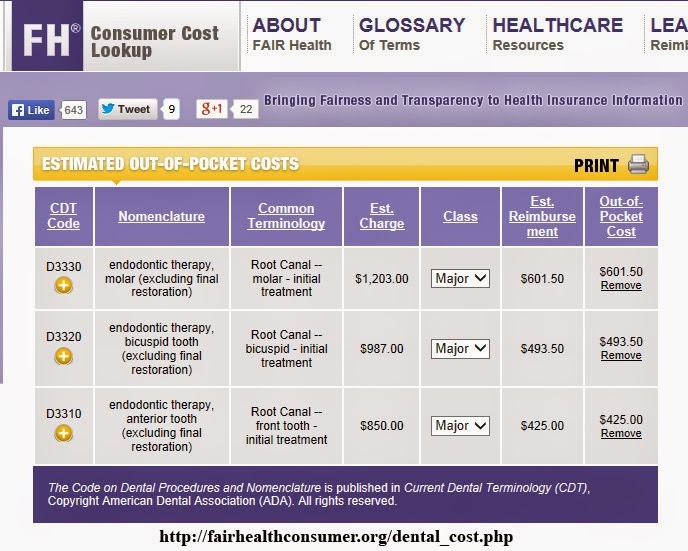 In order to evaluate the decision of staying with Delta Dental, I decided to look to FairHealthConsumer.org to find out what a "fair" price is for endodontic procedures in my region. Fair Health is a national, independent, not-for-profit corporation whose mission is to bring transparency to healthcare costs and health insurance information through comprehensive data products and consumer resources. FAIR Health uses its database of billions of billed medical and dental services to power a free website that enables consumers to estimate and plan their medical and dental expenditures. 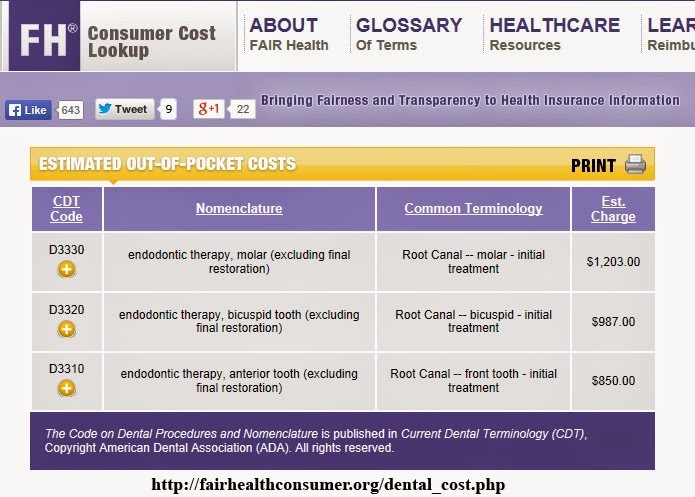 As a consumer, this is what FAIR health says should be charged for endodontic treatment in my zip code. If I have no insurance, this is what I should expect to pay. According to FAIR health, a typical dental insurance policy should expect the insurance to cover $601.50 of the root canal and I should expect an out of pocket expense of $601.50. Now looking at the proposed reimbursement for an endodontist doing these three procedures, Delta Dental PPO wants me to reimburse at the following rates. At SSE our current fees are BELOW the FAIR health fees for our area. If you are a Premier provider, you may want to look at the numbers carefully. If you don't contact Delta by written notice, you will automatically become a PPO provider on July 1, 2014! 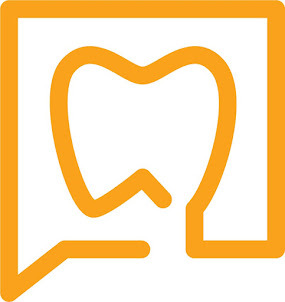 As a company, who was initially founded by dentists in California, Washington and Oregon and has become one of the largest dental networks in the country, this move to cut reimbursements by forcing its premier providers into the PPO network does not seem to support the dentist. If you are a dentist in another state that has been affected by Delta Dental cuts, what has been your experience? If you are an Arizona dentist, what are you planning to do and how do you think it will affect your practice? Some other interesting links regarding this pattern of Delta Dental to cut reimbursements to Dentists. Thank you for referencing FAIR Health’s cost lookup tool in your post. We believe you may have misunderstood the intent of our tool, however. The charge estimates that we offer on our site are not what providers “should” charge or be reimbursed; rather, they reflect what providers are charging for a given service in that area. The estimates are based on our comprehensive database of claims information, and provide a picture of the market for medical and dental services in a given geographic region. The rates that insurers negotiate with providers will, in most cases, be less than the charges that appear on our site given the business arrangement intrinsic to insurance networks: that an insurer helps to direct a certain volume of patients to a given provider in exchange for a discount on that provider’s charges. Thus FAIR Health's cost estimates are most relevant to patients going out-of-network or those who are uninsured. Indeed, we take care to note to consumers on the site that there are many valid reasons why a given provider’s charges may vary from the estimates they receive from our tools. We are happy to offer additional information about our cost lookup tools to you or any of your readers if you would like. Please contact us at 855-301-3247. Thank you Robin (FAIR Health) for your comments. As I understand, FAIR Health was established because an insurance company in NY also controlled the company which determined the "usual and customary fees" which was a major conflict of interest. As part of the settlement, FAIR Health was born. The FAIR health fee is a more honest and independent representation of what the "usual and customary" fee is for an area. Insurance companies are no longer trying to tell dentists what the usual fees are in their areas. Thank you for your feedback. We welcome it!